Today in this post I will tell you about some mobile phones for old aged peoples. Now days people wants hi-tech mobile phones built in high megapixel HD camera, high quality speakers, on the go internet access, Wi-Fi and what not. But there are people who want only basic functions of phone in their mobile phone by which they can make and receive calls, send and receive SMS and the main thing they want is that they can see the buttons and screen clearly. So people who need phones with basic finality and large buttons for them few companies have came up with such mobile phones. *SOS is very use full feature by pressing, it will automatically send SMS up to 5 people and after that it will automatically start calling them one by one. yeah heard of them. really beneficial for old ones..
i would like to know about the price and ALL the features of iBall Assaan mobile. we are a group of 8 office staffers who wish to gift this piece to our colleague who is retiring. regards. also mention the dealers / shops where we can get it. yes,it is really good for old people.i too want to buy one for my pappa,but where can i get? I like the Just5 cell phone. I’ve checked out the company’s website and they have great offers to their consumers. Apart from the guaranteed quality of the phone and its dashing five colors to choose from, this provider also offers very competitive calling plans. Every minute only costs $.10, the minutes expire in 90 days and roll over when refilled. Their unlimited call and text service in a month only costs $40, too. These offers are really great for practical phone users. People who prefer to use a simple cell phone can also seize a great plan with Just5. 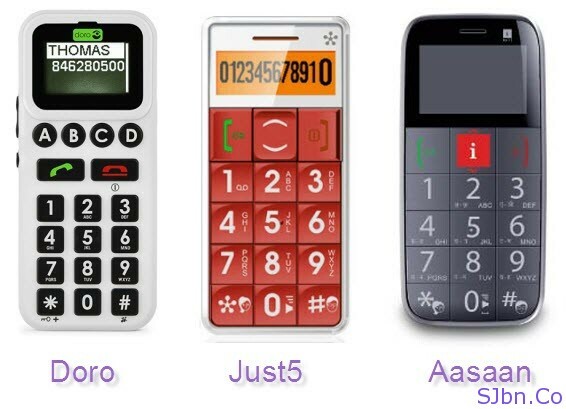 Just5 is a provider of simple phones that is perfect for non-tech savvy. With this provider, my mom can only spend as low as $3.33 a month for the cheapest minute plan. The minutes that this provider are also good for 90 days and rollover when refilled so it’s really great for practical consumers. Just5 also offers an unlimited plan for only $40 for 30 days. And Just5 is not available in India.. Okay so here’s the deal – I have been searching for a cell phone for my grandfather for months and finally came across the SVC plan. However, I’m a little skeptical. How good can the quality be for only $7 a month? All he needs it for is in case of emergency when he goes to the supermarket, but I still don’t wanna spend the money if I’m not sure how it’s going to work. Any ideas? Sorry in this I won't be able to help you. Great simple cell phones! Among these three, I’ll choose Just5 when it comes to physical makeup and features. It looks very attractive and practical. Perfect enough for my grandma! How to order them? Can I get "JUST5" with black keypads. Tell me about price-lists if possible. How to buy from shops rather than online.